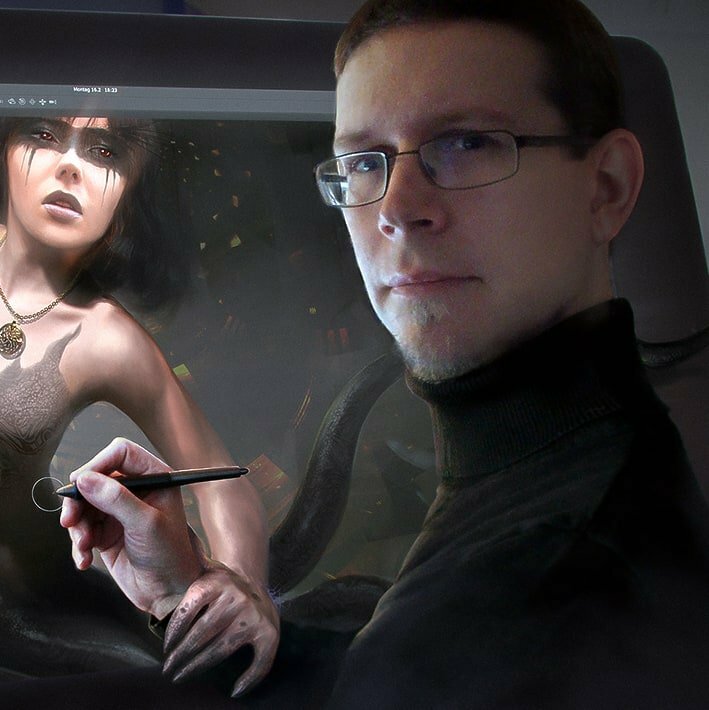 As some of my readers know I have put together some useful articles about hardware like monitors, tablets and software tools for the digital painter in the past. 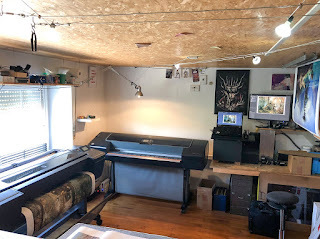 Today I wanted to write a review about the new 44" Printer that I purchased last week. 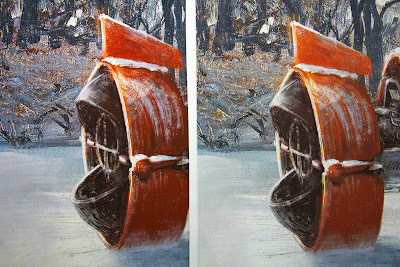 One obstacle I face as a digital artist is that I can't compare my reproductions to an original. I can go the perceptual calibration route because no one except me knows what a piece has to look like. If you are a photographer or traditional artist with existing physical works, you should look up hardware calibration methods and workflows. This list above helped me to identify an "Art Printer" as per the definition of the requirements of a good lasting art print of archival quality. The Z6 Designjet fulfilled 10 out of 11 points from above. For me canvas printing was a biggie because that is my main business. I work with HP printers for 16 years now and never had trouble, but I also looked left and right this time. One important thing for me was to be able to transport the printer upstairs with 2 people. With Canon or Epson printers that would be impossible because a comparable Epson printer weighs nearly 300 pounds. Another valid criteria for me was the number of inks, the warranty and the price. With the new line of Printers, the Z6 and Z9, HP reduces the number of ink cartridges to about 6 respectively 9 for the 12 inks systems. As much as fade-resistant-inks go, there is no big difference between Canon, HP and Epson. They all last around 100 years in daylight and around 200 years in a dark archive. So far the theory, here is my experience so far. The blog will be updated with occurring issues or experiences. 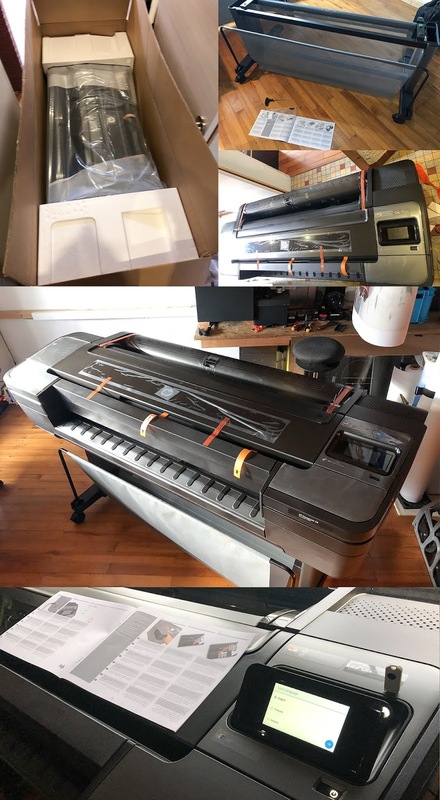 My new printer is now a Designjet Z6 which is brand new so to speak, the model was introduced just 2 months earlier and is the direct successor to the Z2100 / Z3100 / Z3200 Designjets. The delivery was on a rainy day and with two people we had a bit trouble to get the huge package indoors. We let it dry for an hour and unboxed it slowly. All in all it took around 2 hours from unboxing to setting up and installing the Firmware update. The digital setup process is very intuitive. One thing that stands out is the roll-cover on the back. 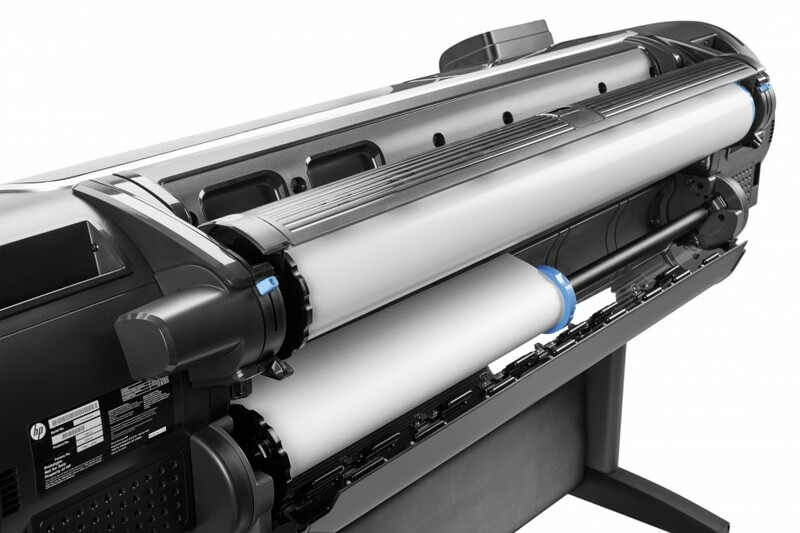 When opening the cover, the current roll will automatically be ejected and the printer waits for new material to be installed. That is a huge update from the Z2100 where you have to manually eject and roll up the spindle! Another thing that I found is the flat design on top. Together with the Roll cover it makes totally sense because you can also use the printer as table for printouts. Older models were shorter and when printing further you would have to remove the prints from the cover, now you can collect them on top and still print which is a neat extra for sure! I have done a few prints now with the Z6 and I can really say there is no visible difference between the Z6 that uses 6 Colors and the Z2100 with 8 colors in terms of quality. Heck I even switched from Best quality / Max. Detail / More passes - to just "Normal" and the prints are still as good as with the Z2100! There is a small difference that I found and I assume that to be the HP Pixel Control pipeline of the Z6 that enhances the contrasts and detail in each print because compared to the Z2100 whose prints look a bit blurry especially on parts that should be crisp. Left DJ Z6 / Right DJ Z2100 Canvas Print unaltered file, just sharpened and resized for web. You can right-click and "open link in new tab" to view a bigger image of this. 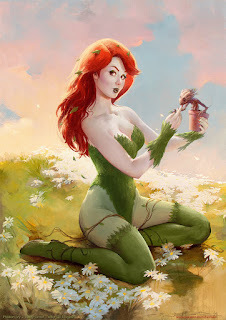 How much of a good thing this is has to be seen, so far I find it is enhancing the images and it is nothing to bother about. So far, the startup speed, setup and especially the prints satisfy. With little perceptual calibration the prints came out all as good as with the Z2100 reference and that makes the switch easier than expected. One other nice feature is that the Designjet Z6 also cuts canvas because that is what the Z2100 did not do. Ever. It is said that this only works with HP Canvas, and according to HP the blade may last 4000 meters with canvas (8000 with paper). So if it is non HP Canvas it lasts a while even if the blade just works for 3000m. Another nice feature is that the printheads are not color encoded, which means you can buy one printhead and replace any printhead with that because they will be color encoded when installed. One thing I yet have to test is the Print-from-USB option. A nice thing for batch printing is the software HP-Click. On another note the Postscript option is embedded with all printers of this series. In the past it was a costly additional extra. I don't need it because my work is Raster-based. If you work with typography, graphics or vectors, this might be very good news to you. For the price and its class, the Printer is a heavy duty machine geared towards the workload of 150 -300 A1 prints a month. It comes with lots of design features that you might embrace before you know you will. In terms of quality I can say that the promise that the new system replaces 8 color printers without loss of quality is not overhyped but true. Most of the technologic advantages are under the hood and not always to be seen on the screen or surface, nearly as with a new "iPhone" for example, it looks similar as the old one but the extra power and features is something you will recognize. Having only 300ml ink cartridge is a bit heavy at first if you are used to the 130ml cartridges, but usually HP cartridges can last up to 3 years without loss of warranty so that is a manageable size and timeframe to work with. Actually that means with twice the price of the 130ml cartridges you will get twice the material plus 40ml extra. Additionally, if you can save ink cartridges with no real setback and the printheads can handle 4096 shades per color to replace light colors, now that is a step forward in my opinion. My experience with HP was good throughout the years and that is my reason to stick with them. I'm confident this positivity will continue. 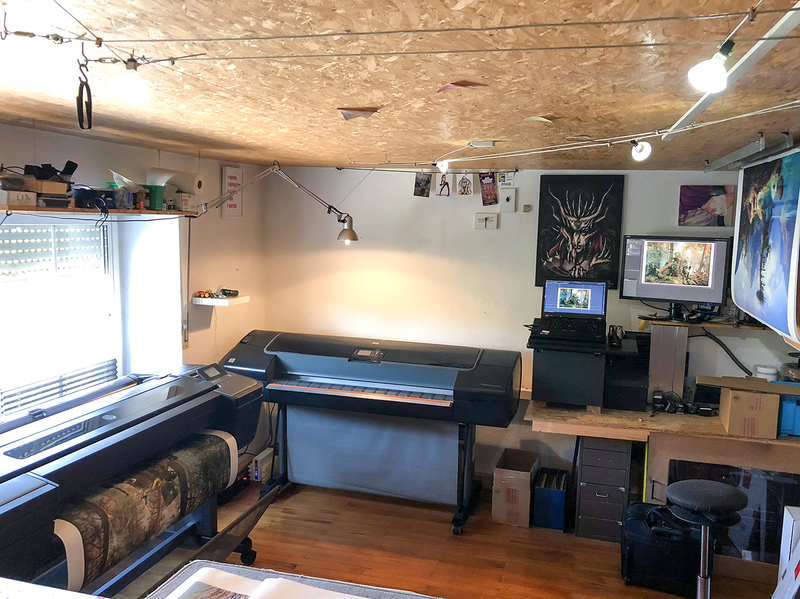 I can recommend the Designjet Z6 to digital artists as also traditional artists (because it can print from a usb stick) and graphic artists alike. If you are a photographer, you might want to check out the Z9 instead. I consider my self technologic affine but still it took me some days to wade through piles of technical specs to find the relevant information. For someone not into this matter, it might take weeks if not months to understand the differences between 10 printers or types and what that means for their daily routine. There is a website called hpplotter-co.uk and they have a list with obsolete models and successors. Through that site I found that the Z2100 (which troubled me) is obsolete since about 2 years. If HP is your brand of choice, this site could help you a bit. 4 /6 / 8 / 9 / 12 colors what to choose and why? 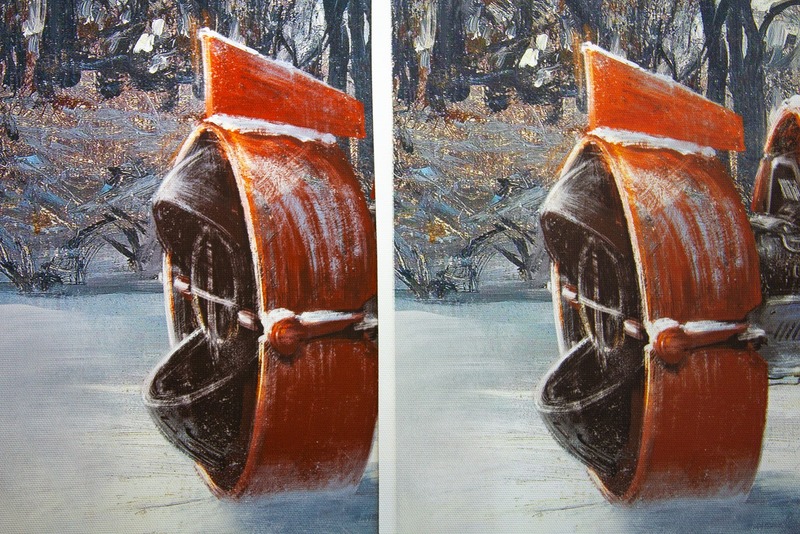 I think there is no need to argue that 8 colors are better than 4 in digital printing. However, for the best quality the number of inks is just one parameter of many. I'd go as far as saying you don't need more than 8 colors (or 6 with the HP DJ Z6) because 12 colors just increase the cost and slows down the printing process for maybe 10% better quality that only 1% of people can really appreciate. More information about that matter here. There are always series-specific issues. For new printers some issues could be resolved, some new might appear. This always happen and is kind of Russian-roulette with technology. Ask in forums if you consider to get a used LFP-printer. Some printers require weekly cleaning of the printheads in order to prevent drying out. Others have issues with certain paper types etc. Of course I could go and buy a used one. I did that too with my first 44" printer a Designjet Z2100 and it also turned out to be the best choice ever. But to be honest, I was also super lucky to have 3 years without any errors or trouble. And now one minor trouble that I was able to handle myself in order to have a working printer again. My main reason for not going the "used"-route was because the Z2100 as also the others Z3100 /Z3200 Z2600 and Z5600 are obsolete and not or soon not supported anymore. Which means technically a service and spare parts will be still available, but secondary market for inks might raise prices in the near future. On the contrary, the Z6 is so new, there is no used printer out yet, when I needed it. So in my case I could have bought 2-3 used Z2100's for the same price, but I believe it did not get me anywhere in a better spot. Especially if I want to invest in better quality of my output in the long run, which was and is a promise to my customers. You see, there is a lot to take into consideration and that also means affinity towards a brand or past experiences. I hope this article has helped you. Let me know if you have some questions regarding the mentioned printers or the topic in a comment.